WPCA’s upcoming exhibition highlights community advancement through the democratic medium of the print. 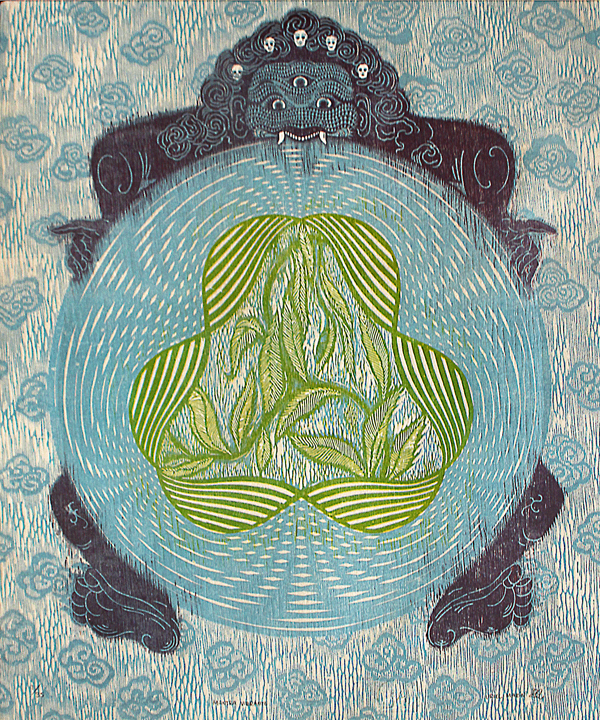 Featuring over 30 prints curated by the organization’s founding members, Per Anderson, Martín Vinaver, and Rafael Ruiz, La Ceiba Gráfica includes an eclectic mix of work by various artists exploring traditional and contemporary printmaking techniques. La Ceiba Gráfica, a printmaking workshop located in Veracruz, Mexico, was founded in 2005 in order to encourage the creation of art and to contribute to helping the public gain access to the arts and art-making regardless of an individual’s economic situation. The workshop contributes to enriching the lives of the regional community and works towards expanding accessibility to the arts and developing and perfecting the technical knowledge needed in engraving and lithography practices. This exhibition will coincide with the Southern Graphics Council International (SGCI) Conference, the largest printmakers association in North America, expecting to bring up to 2,000 delegates from all 50 states to Milwaukee.